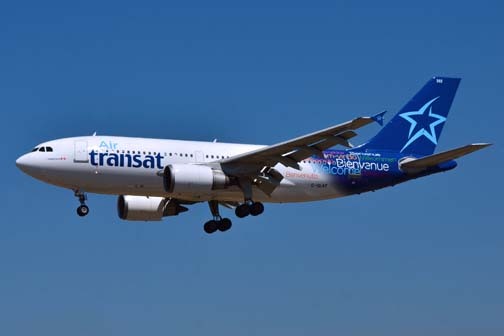 Canadian airline Air Transat will include flights to Puerto Rico from Montreal and Toronto during the winter travel season, the company confirmed. In all, Air Transat’s winter 2017-18 flight program offers travellers 36 Sun destinations from 22 Canadian cities, in addition to a wide range of European destinations. “Sun vacations are popular with Canadians every year, which is why Air Transat is thrilled to offer two new destinations this year to quench their wanderlust,” said Annick Guérard, president of Transat Tours Canada. “First, we’ll be offering flights to Tampa, a city that is already well-known among Canadian travellers. Tampa boasts lots of great restaurants, not to mention outdoor activities and, of course, beautiful beaches,” Guérard said. “We will also be flying to San Juan, one of the oldest cities in America. With its spectacular beaches and picturesque colourful buildings, the island of Puerto Rico will surely appeal to travellers in search of history, culture and relaxation,” the executive said. “These new destinations, known as popular ports of embarkation for adventures at sea, will serve as departure points for many new cruise packages,” Guérard said. Following the success of the direct flight to Santo Domingo (Dominican Republic) from Toronto last winter, the Dominican capital will now be available from Montreal, the carrier said. From Quebec City, two flights a week to Cayo Coco (Cuba) will now be offered. Hey Buddy!, I found this information for you: "Canada’s Air Transat’s winter schedule includes San Juan". Here is the website link: https://newsismybusiness.com/transats-schedule-includes/. Thank you.